← GMS Legend Update – Coming December 7th! Anyway, I’ll go through the skill changes first. Uh damage variable doesn’t have a ‘=’ now. 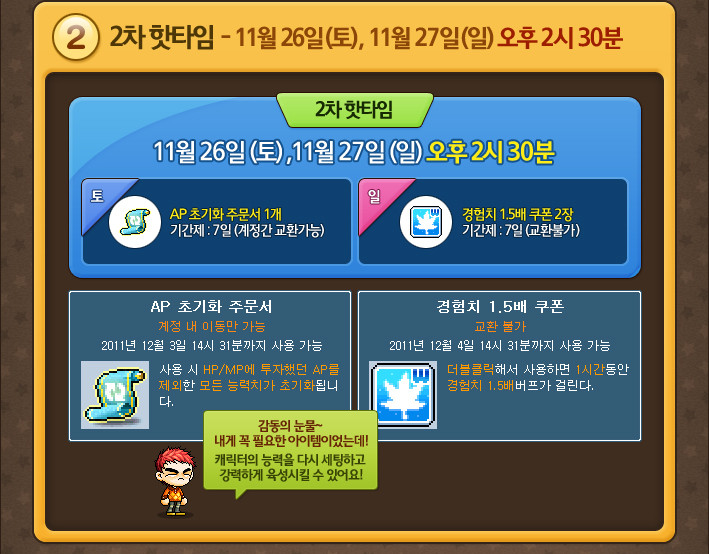 Weapon ATT Bonus Increased by 10 (20 at max level -> 30 at max level). Amount of MP Healed Every 4 seconds Increased (40 at max level -> 60 at max level). Damage Bonus Decreased (60% at max level -> 40% at max level). New Features! +20% Critical Chance at max level and +15% Minimum Critical Damage at max level. Attacks twice instead of once now. Damage Increased (500% at max level -> 550% at max level). Damage Increased (130% at max level -> 140% at max level). Damage Over Time Probability Increased (60% at max level -> 90% at max level). Damage Increased (120% at max level -> 140% at max level). Freezing Probability Increased (60% at max level -> 90% at max level). Damage Increased (125% at max level -> 140% at max level). Stun Probability Increased (60% at max level -> 90% at max level). DEF Ignore Chance Increased by 10% (20% at max level -> 30% at max level). Shield Proc Chance Increased (20% at max level -> 30% at max level). Number of Times Damage is Absorbed Increased (5 at max level -> 10 at max level). Seal Probability Increased (60% at max level -> 90% at max level). Damage Increased (1,450% at max level -> 1,700% at max level). 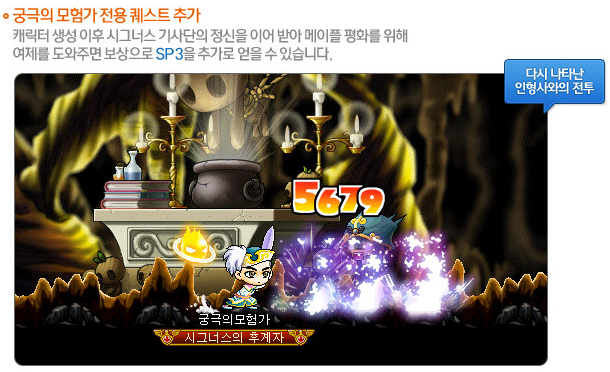 Uh a new variable expressing the number of attacks of this skill was added. Useless, its value is 1. Damage Increased by 10% (190% at max level -> 200% at max level). Damage Increased by 40% (410% at max level -> 450% at max level). Damage Increased (720% for 1 hit at max level -> 400% per hit at max level). 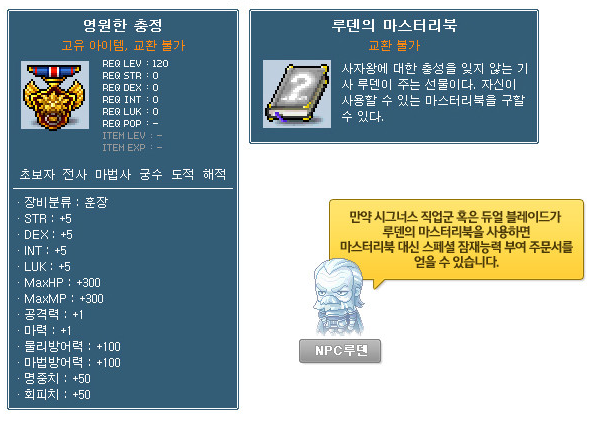 HP Conversion Chance Increased by 10% (10% at max level -> 20% at max level). Damage Displaced Increased by 5% (80% at max level -> 85% at max level). Magic ATT Bonus Increased by 10 (20 at max level -> 30 at max level). 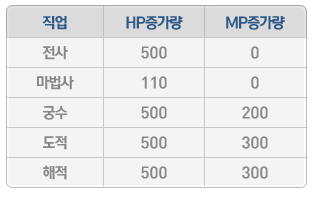 Extra MP Cost on skills Increased by 10% (140% at max level -> 150% at max level). 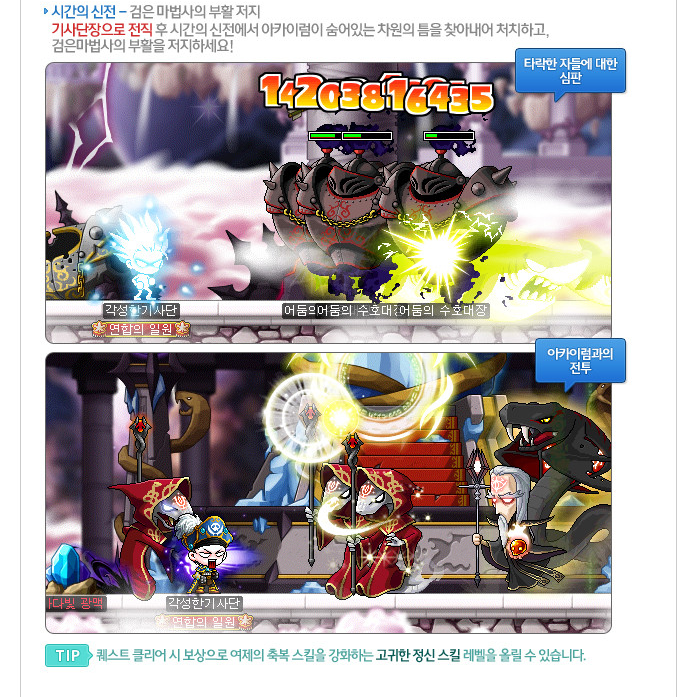 Magic ATT Bonus Increased by 5% (145% at max level -> 150% at max level). Power Stance Activation Chance Increased by 20% (50% at max level -> 70% at max level). Damage Increased (550% at max level -> 600% at max level). Damage Decreased (1,800% at max level -> 900% at max level). Damage Increased (490% per hit for 4 hits at max level -> 340% per hit for 6 hits at max level). Number of Attacks Increased (4 -> 6). Damage Increased (260% per hit for 4 hits at max level -> 200% per hit for 6 hits at max level). Bonus EXP Increased (40% at max level -> 50% at max level). Damage Increased (500% per hit for 2 hits at max level -> 420% per hit for 3 hits at max level). Number of Attacks Increased (2 -> 3). Amount of Enemies Hit Increased (5 -> 6). Damage Decreased (2,000% at max level -> 1,000% at max level). Uh the damage formula for the better but it’s still 640% at max level. Damage Increased by 10% (350% at max level -> 360% at max level). Damage Increased (230% at max level -> 270% at max level). Damage Increased (800% per hit for 5 hits at max level -> 720% per hit for 6 hits at max level). Amount of Attacks Increased (5 -> 6). Damage Increased (620% at max level -> 680% at max level). Max Level: 20 -> 1. Max Level: 10 -> 1. Max Level: 15 -> 1. Damage Increased by 30% (60% at max level -> 90% at max level). Range Decreased (by only like 5 pixels…). It’s the SAME EXACT THING as the first part, except for the jobs revamped in this specific patch. I’m not going to explain it again since it’s the same, you can check out this post for more info. It will be going on from 11/17 till 12/10. From 11/17 till 12/14, every Von Leon item will be upgraded! 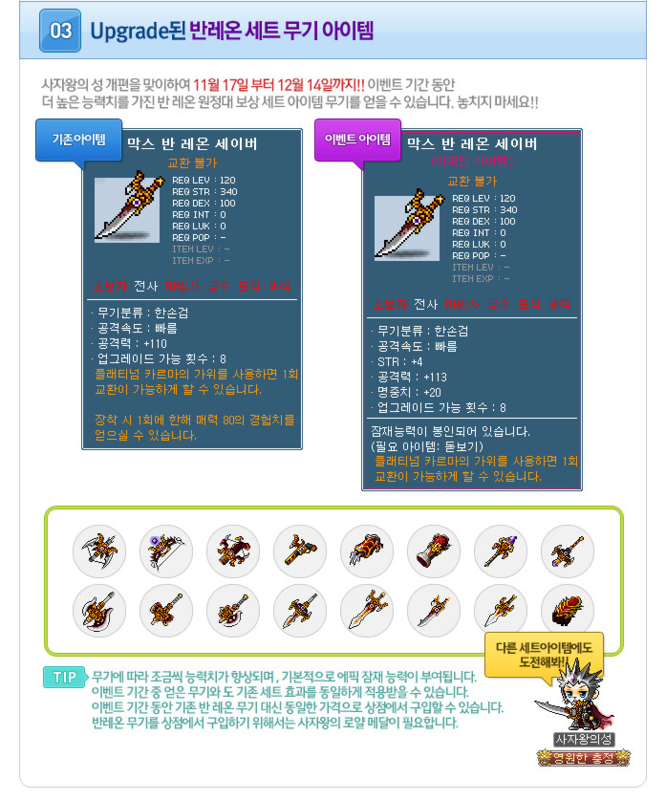 First off, the weapon ATT of each weapon will increase. Also, the weapons come with an ‘Epic’ potential! *The ring lasts for 15 days. For Equipping 2 items: +3 All Stats, +120 Avoidability/Accuracy. For Equipping 3 items: +5 Weapon/Magic ATT, +5 All Stats, +200 Weapon/Magic DEF. Wow! There is a LOT of Hot Time events! 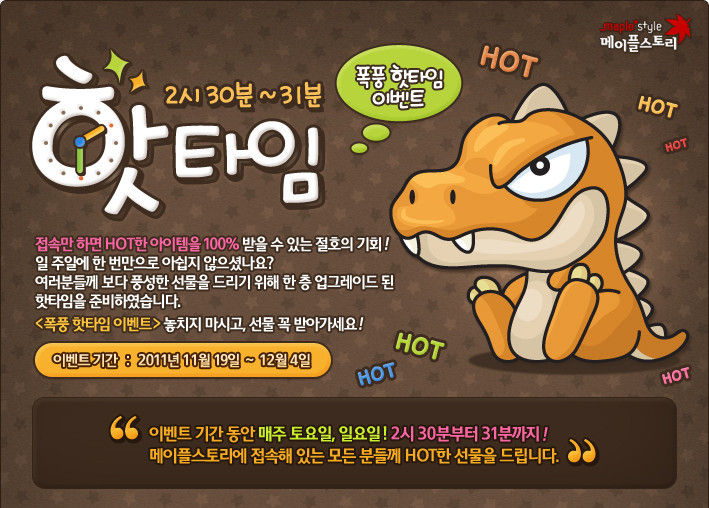 Same procedure as always, log on to MapleStory at 2:30 P.M. at a specific date to receive a specific prize. 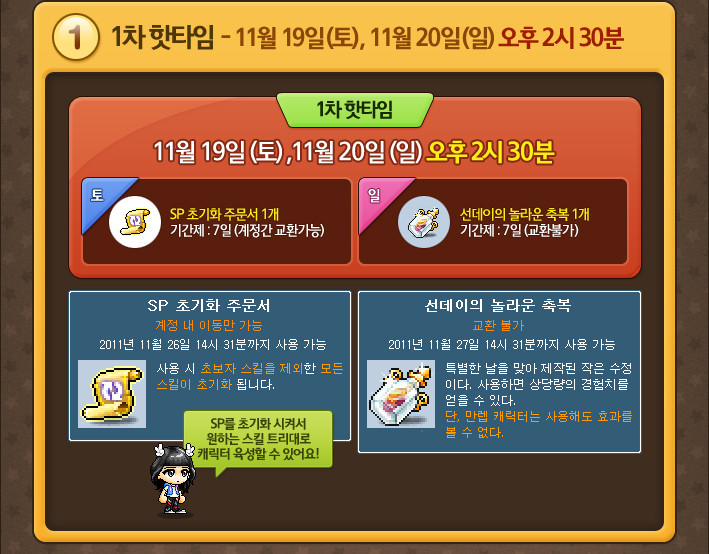 November 19th – 7-day full SP Reset Scroll. November 20th – 1 Sunday’s Incredible Blessing – Gives you a siginificant amount of EXP. November 26th – Full AP Reset scroll. 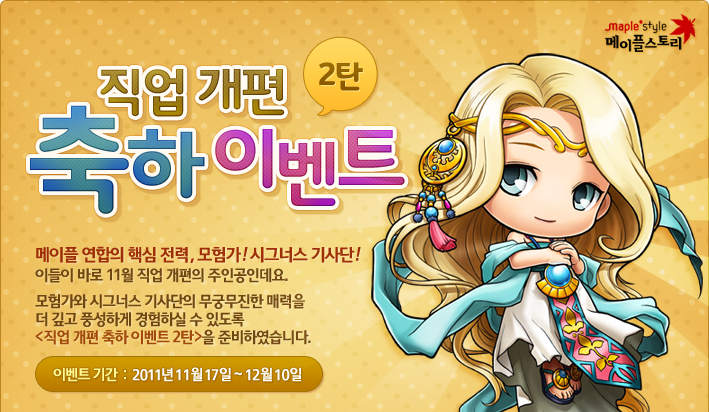 November 27th – 1 hour 1.5X EXP coupon (lasts for 7 days). 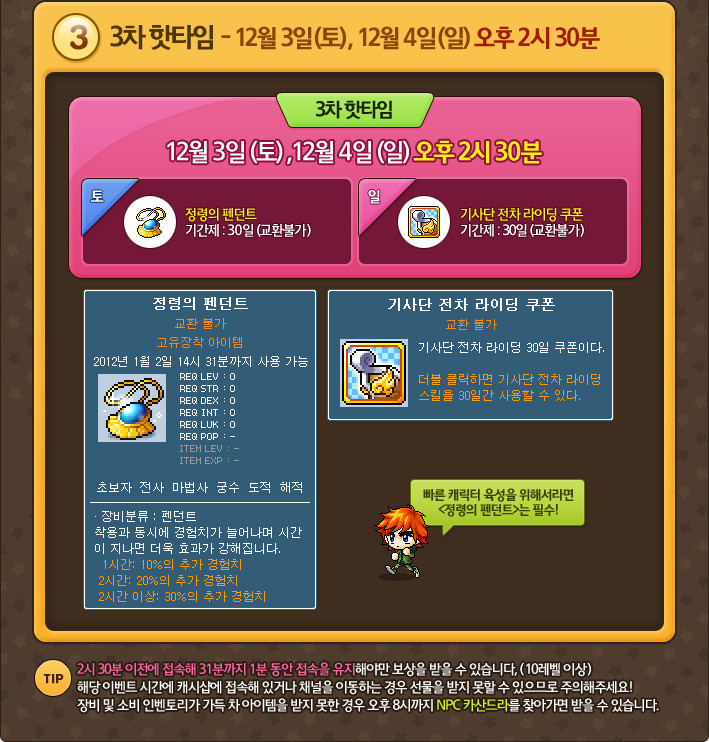 December 3rd – 30-day Fairy Pendant (the one that gives extra EXP). December 4th – 30-day Knight’s Chariot mount. Best news for today. Only 5 Peridots are needed to create an Ultimate Explorer! Lionheart Castle was revamped. It is now a theme dungeon, by that I mean that it now has a quest line. 1-Handed Weapon for Weapon ATT: [70%] +1 All Stats, +2 Weapon ATT. 1-Handed Weapon for Magic ATT: [70%] +1 All Stats, +2 Magic ATT. 2-Handed Weapon for Weapon ATT: [70%] +1 All Stats, +2 Weapon ATT. Revamped jobs will get SP Reset scrolls ONLY if they joined the Union (it’s actually an event, shouldn’t have really put it here). Skills that a Cygnus Knight could get when he/she reaches level 100 are now obtainable at level 90. The skills from the level 110 quest are now given at level 100. Warriors: 500 HP, 0 MP. Magicians: 110 HP, 0 MP. Archers: 500 HP, 200 MP. Thieves: 500 HP, 300 MP. Pirates: 500 HP, 300 MP. Ultimate Explorers start off with some quests, one of which gives them free 3 skill points! I believe that should be it. 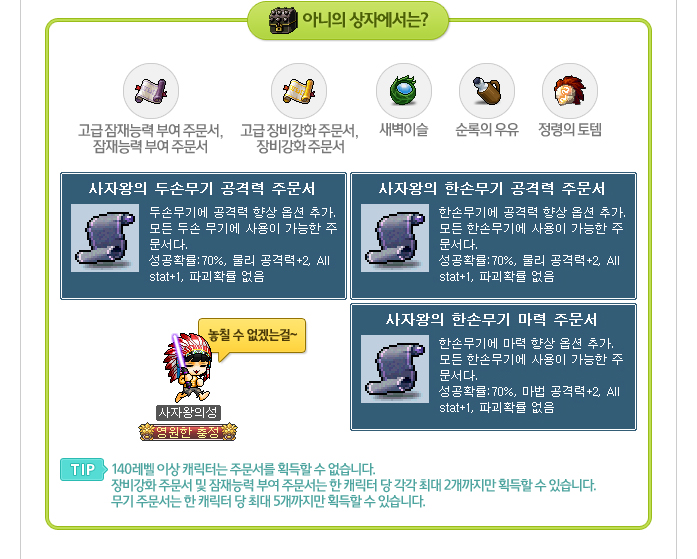 There’s the Little Indian event, but it’s not out in KMS yet. For once, I’m actually excited for that event. Hopefully it will come pretty soon. Looks like the ultimates for mages got nerfed big time. Btw, shakar, didn’t you say you weren’t to get another computer until february? The Ultimates now hit 2x so they are still buffed. yeah but before they got buffed from like 1700%x1 to 1800%x2…but now they’re 900%x2…i guess nexon may have made a mistake the first time. It’s likely that the first % for I/L’s was correct and the other ones were set too high, really. My thoughts exactly. Could they make a mistake twice? I’m on my brother’s computer :P.
im suprised he would let you use his computer this much. Who said he did? He went to his friend’s house till now :P.
Also you falcon punched him. 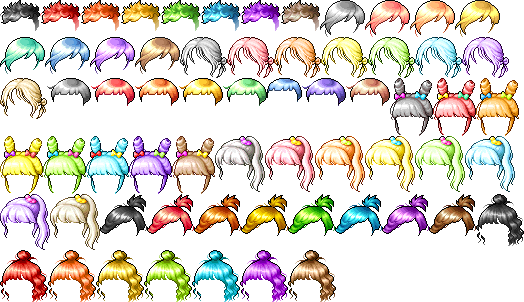 Coma and Magic Crash are on Blaze wizard 3rd job and Poison bomb 20-30 should be Red (I think) but other then that, good job! it’s pretty cool that CK’s get a supporting 3rd job skill that only needs 1 point to be maxed. Wth they did not change combat mastery for Hero still 40% ignore pdr only? Whereas Aran Cleaving attack is 40% ignore pdr and 20% boss at 3rd job skill. 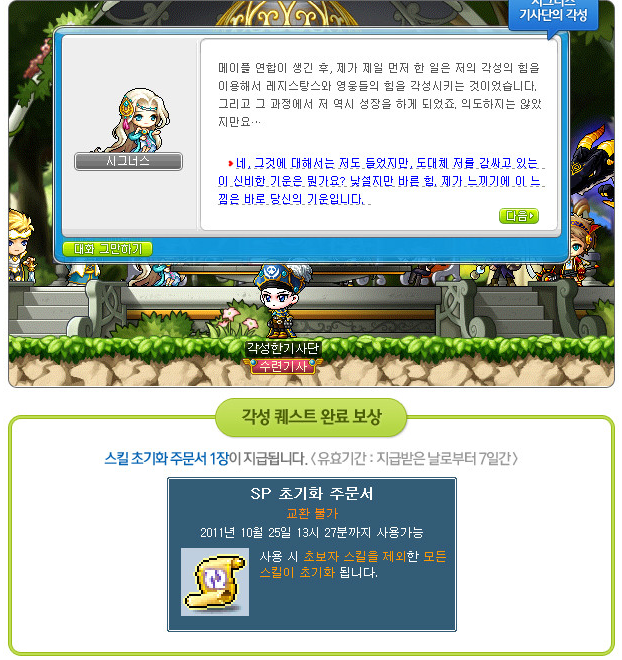 This is bravo nexon so bias on aran!! Mages got buffed already, they can deal with it. yeah but he’s trying to say that putting that extra buff isn’t really gonna do anything. Bishops are the weakest mage in-game. And our “supportive” skills aren’t even comparable to those like Evans and BaMs. Is it so much to ask for BETTER/NEW support skills for bs? Hmm I’m having some difficulties with my servers which I’ll fix tomorrow after school. Hopefully, if my brother returns late from school tomorrow, I will also add the new events! Woah! Only 5 peridots? Awesome! any word on the UE/UA inventory slot issue? did they pump it up to normal yet? mmm i love the new update thanks for poasting it. I also would like to know about the thief hero any clues about them…? Since LHC is now a themed dungeon, could you get in game to see if Von Leon is still accessible? Thank you. I think the 3rd patch would come around the 3rd week of December. If I’m wrong you can shoot me twice. Right, I forgot about the Thursday Rule. Von Leon is still accessible (from what I’ve heard). I can’t even describe how happy I am with Rage being 30 attack =D! I don’t know anything yet. Okay, all the events and other changes are up! About the buffed VL Weapon, does that include the existing ones? Or we will have to get a new one in whole? Cause I am wondering if I should GM scroll my VL xbow now or wait till the buffed ones comes out. The buffs provided to the jobs are significantly large but does not change the gameplay much. Man, i’m so dissapointed to see Enrage being raped from 60% to 40%, the only freaking thing it needs it’s to be a switch-like skill, have you tried to right-click enrage while fighting zak and died out of 1/1 + anything or just cancelled your attack buff? you know how annoying it is to enable + disable when doing PQs or fighting boss and then killing it’s summons? it’s lame that they don’t even know their own classes. 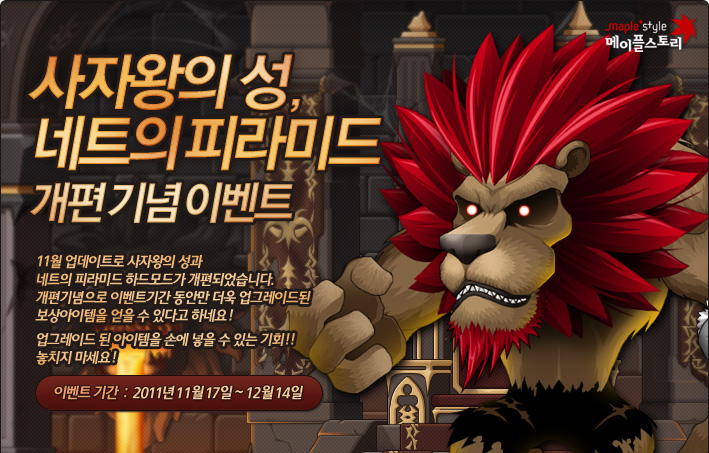 Check the new post, enrage was fixed. Shakar what is Shinsoo’s Blessing (I got UE NL and I need the HP boost)?? It’s from a quest, don’t worry about it. 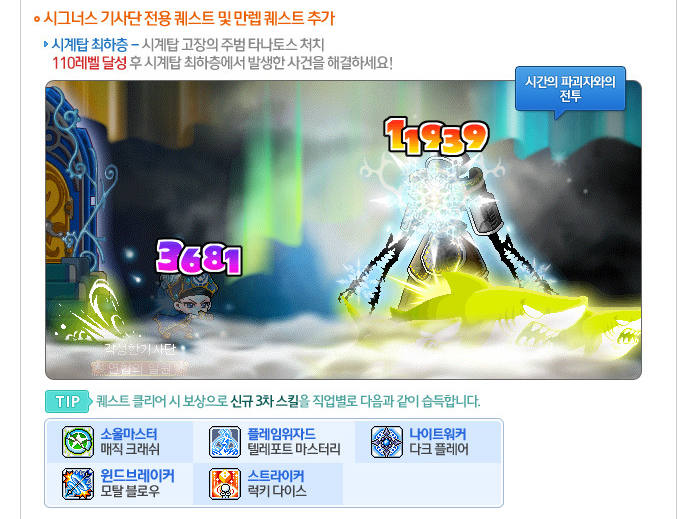 Sharkar is the thunder breaker outfit nexon equips? Permanent? 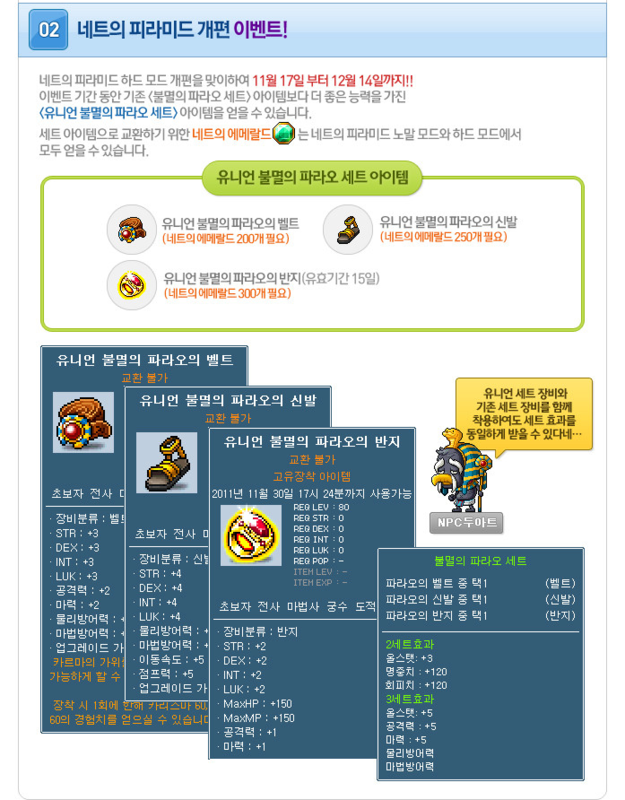 Shakar, Nexon Korea supposedly released a mini patch yesterday and changed some of the skills. I love the new updates!!! Other thoughts: can you please add me as your referrer in a app called “apptrailers”? Its a legit app that let’s you get gift card of your choice over time by watching commercials. My name is Yahboiiii. You get 5 points if you refer me by the way. Thank you if you do it. And this is legal!! Go to the app store it’s there. And why would they put a virus on the app store? Hellow Shakar, I was referring to the picture above. The picture with the thunderbreaker fighting Akyrum. He is wearing some sort of Pirate Cygnus knight costume/ armor. Is that real armor or cover ups. It’s a Cash Shop item I think. In KMS, though, Cash Shop clothes are permanent. Oh, how cool! Do you know when you guys got that update? Dang, hopefully it’ll hit GMS. Is the Shinsoo’s blessing just a buff ? So ua’s dont get their hp/mp fixed by not having second job ? Sorry if this question was dumb. It’s a skill, the buff is permanent. what did you meant by this? the previous VL weapon we have would be upgraded? does it still use the same coin system? As far as I know, the previous Von Leon weapons would NOT be upgraded. You’ll have to buy the upgraded versions from the NPC. And yes, the same coin system still applies for the level 120 Von Leon equipment. I’m not sure if it’s only the weapons that get upgraded or the rest of the Von Leon equipments too. Hey urm….I have a question about the Von Leon equipment that I hope you can clarify. The update says the Von Leon equipment will be upgraded and now comes with EPIC potential right? Does the upgraded equipment only include the Von Leon weapons or does it include the armors (glove, shoes, cape, etc.) as well? It’s only for newly obtained weapons. Also, did the set effect of the Von Leon equipment change? I would like to know this as well. Would anyone please help us?